The Shetland Sheepdog, as the name suggests, came from the Shetland Islands between Scotland and Norway. Standing 33 to 44 centimetres at the withers and weighing 14 to 27 pounds, it is a beautiful small dog that looks like a Rough Collie miniature. It is recognised by the KC under the Pastoral group. Are you considering a Shetland Sheepdog as a pet? Here is a brief background of this adorable and cheerful sheepdog. The Shetland Sheepdog originated from the rocky Shetland Islands located between Scotland and Norway. Records show that similar-looking dogs existed since the 1840s. Because the animals that needed to be herded were smaller in size and number compared to those on the mainland, farmers wanted a smaller version of the Rough Collie, thus the creation of the Shetland Sheepdog. It is believed that different collie-type dogs were crossed with smaller local dogs to create the breed, which was originally called the Toonie, a Norwegian word for farm. Farmers decided to make the Sheltie an even smaller and fluffier breed so it can be sold to tourists. It was said to have been crossed with the dogs left by tourists like the Pomeranian and the Prince Charles Spaniel. Because of too much crossbreeding, the original appearance of the Shetland Terrier started disappearing by the end of the 19th century. Some breeders crossed the dogs again with Collies to regain its original looks, some just wanted to keep the appearance of the existing Shelties, while others continued crossing with other smaller breeds. As a result, there were three different types and breeders and enthusiasts were divided, establishing various clubs based on the appearance they supported. In 1908, the Shetland Collie Club was created with the goal to keep the breed to its true type. In 1914, The Kennel Club recognised the breed in its own right but named it the Shetland Sheepdog instead of the Shetland Collie, which was commonly used by different clubs. Today, the breed remains a popular choice among families because of its cute appearance and affectionate personality. The Shetland Sheepdog is often described as a miniature Rough Collie in terms of appearance. Standing 33 to 44 centimetres at the withers and weighing 14 to 27 pounds, this beautiful dog is small yet agile and graceful. It has a refined, elegant flat head that tapers appropriately to the nose, a slight but definite stop, flat cheeks, a well-rounded muzzle, and sound teeth with a perfect scissor bite. The rim in its nose, lips and eyes are black. Its medium eyes are oval-shaped, obliquely set and usually dark brown in colour (except for merle where one or two eyes are blue). 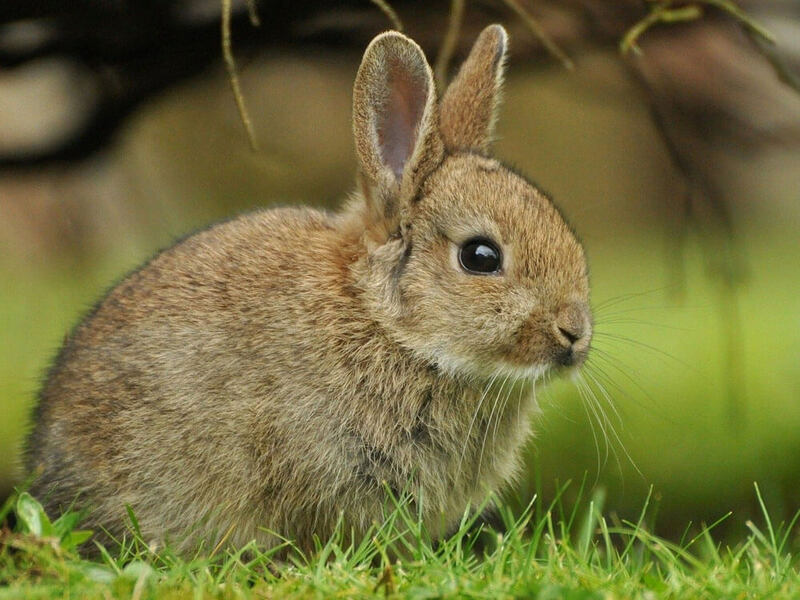 Its ears are small and set moderately wide apart, which are carried back when at rest and forward when alert or excited. 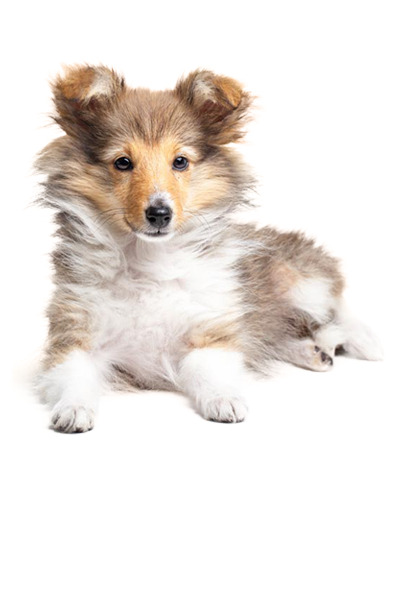 The Sheltie boasts of a thick, dense coat comprised of a straight outer coat and a softer, short undercoat. The hair around its neck is longer and thicker, which forms a mane. It also has feathering in its forelegs and its back legs have an abundant hair above the hocks. The accepted KC colours are sable, tri-colour, black & white, and blue merle, which can have white and/or tan markings. Since the Shetland Sheepdog has quite a long and thick coat and sheds heavily all year round, it has high grooming needs. Daily brushing with a pin comb is a must, making sure to get right down to its skin. To avoid damaging the hair, it needs to be sprayed with water so it is damp when being brushed. Its grooming regimen must include daily brushing of the teeth, regular cleaning of the ears and trimming of the nails when there are clicking sounds on the floor. The Shetland Sheepdog is a spirited, cheerful, loyal and gentle dog. It builds a strong bond with its family and as an active dog that likes to be kept busy, it loves enjoys being part what’s going on in the household. As such, it tends to develop separation anxiety so it cannot be left alone even for a short time. It should be in a household where one person always stays at home. Shelties are often suspicious of strangers but would prefer to keep its distance than be aggressive. When it comes to children, the breed usually feels uneasy with smaller ones and could get snappy. It is better off to families with older children that know how to handle dogs. That being said, parents should always supervise interactions regardless of the children’s age and teach them to treat pets with love and respect. It usually gets on well with other pets including cats but it will be inclined to chase those it does not know. The Shetland Sheepdog is a very intelligent dog that is a fast learner. Even first-time owners could easily train this breed as long as they are up for the challenge of handling it with a firm yet gentle hand and using its high energy in a positive way. It actually excels in canine sports so they should be part of its trainings. It is worth knowing that the Sheltie can also have a stubborn streak but can easily be curbed with patience and perseverance. A typical serving for an adult Sheltie is 3/4 to 1.5 cups of excellent quality dry dog food per day. Like with any breed, feeding amount and frequency depend on the dog’s age, size, physique, exercise level, and metabolism. If you are unsure about this, ask your trusted veterinarian for advice in order to provide your Sheltie with the required nutrients. Feeding a small breed like the Sheltie is different from feeding medium, large and giant dogs. Ensure that if you feed your pet commercial dog food, choose a dependable brand formulated for its size. If you choose to prepare its meals, do your research so you can provide it with the right amount and avoid nutrient deficiencies. The number one ingredient should be animal meat from chicken, beef, lamb, fish, or turkey. Also include Omega 3 and 6 for a healthy coat. The Shetland Sheepdog is a generally healthy breed that has a potential to live up to 13 years. Like other breeds, it can be predisposed to certain health problems including obesity, congenital deafness (common to merle-coated dogs), Hip Dysplasia, Collie Eye Anomaly, General Progressive Atrophy, Von Willebrand’s Disease, Dermatomyositis, MDR1, and adverse reaction to Ivermectin. While this does not mean that your dog will develop any or all of these diseases, it is important to know them. As previously mentioned, the Sheltie is an intelligent and energetic breed, which means that it can have high exercise needs. This small dog will need at least one hour of daily physical and mental activities to be truly happy. If its energy needs are not meant, it may develop bad behaviours. Aside from walks, engage it in canine sports such as obedience, flyball and agility. Also give it access to a fenced yard so it can let off steam anytime of the day. A well-bred pedigree Sheltie costs around £800 and above. High-quality food will cost you £20 to £30 a month. Pet insurance for this breed starts at around £20 a month but since the price varies depending on a lot of factors, do your research to get the best deals. Veterinary costs are usually overlooked but check-ups and preventive care are very important so prepare to spend around £800 a year. Basic equipment will initially cost you around £200. Is a Shetland Sheepdog Right for You? The Shetland Sheepdog is a beautiful small dog resembling the Rough Collie. It is an active, alert and gentle dog suitable for first-time owners. The breed may thrive in a family setting but it is not for families with very young children. The Sheltie is an intelligent breed and a quick learner. It is high maintenance in the grooming department.